Ranchi : Lalu Prasad Yadav and other 17 have been convicted in the fodder scam; quantum of sentence will be done on January 3. Till then he will remain in the police custody. 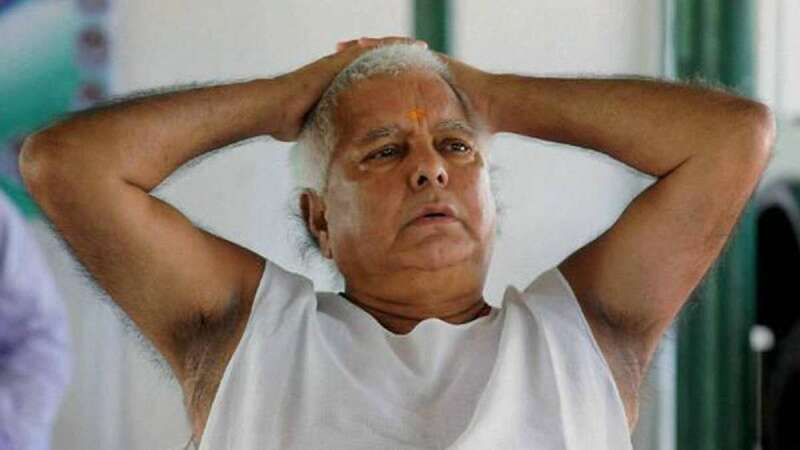 Earlier, Lalu Prasad Yadva, also the Rashtriya Janata Dal (RJD) chief, had reached Ranchi on Friday evening, along with his son Tejashwi Yadav to hear the verdict. According to a lawyer, hearing in the multi-million fodder scam case, which relates to fraudulent withdrawal of Rs 84.5 lakh from Deoghar district treasury, was completed on December 13 in a special Central Bureau of Investigation (CBI) court of Ranchi. Special CBI judge Shivapal Singh fixed December 23 for pronouncing the judgment and asked all the accused to remain present in the court on that day. In all, there were 34 accused in the case, out of which 11 died during the course of the trial, while one turned CBI approver and admitted the crime.